Air-conditioning in workplaces is usually pretty standard stuff, with industrial companies in particular comfortable understanding carrier HVac set-up as they are carrying out the actual work they’re paid to do! 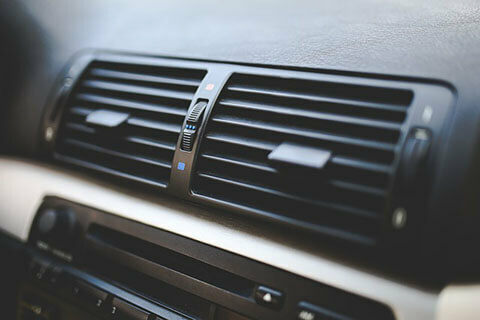 However, how much do we really know about how air-con got started as a technology, and how much it’s developed over the years? It’s hard to imagine working life in the days before air conditioning (although those of you that have had to work in an office when the system has broken down will have had a fairly unpleasant taste of it!). It’s a little known fact that actually, industrial workers used to have month long vacations during August, simply because they were unable to carry on working during the sweltering heat. Even the government was known to shut down during some parts of the summer! Willis Carrier was the genius behind the invention of air-conditioning. Interestingly, he had a personal investment in his creation: he was working for a publishing company in Brooklyn, and created the technology so that the temperature and humidity in the office could be moderated, thus preventing the paper being used from expanding or contracting. Since Mr Carrier’s stroke of genius, air-conditioning has grown and developed substantially, with some units so technologically advanced that their inventor might not even recognise them if he were alive today. Some of the most useful features to be developed over the years include evaporative condensing (which enables the unit to not only change the temperature of the air, but also the humidity), emergency response air-con, which can be turned on and off according to the individual needs of the user (meaning that if the temperature reaches a level that could be considered hazardous, the air-con will automatically activate to help prevent further increases), specific material cooling (so if a particular fluid needs to be kept cool without affecting other areas in the room, this can easily be achieved) and even process cooling (which allows a single unit to keeping different areas of one process at different temperatures). What impact has air-con had? It’s genuinely surprising how much of a positive impact air-conditioning has had on the world. For instance, it’s believed that 60% of the economic growth in the US during 1960 was due to the fact that air-conditioning made it possible to work all year round. In the toasty southern states in particular, this was an absolute Godsend. Indeed, many demographers agree that population explosions in places like Arizona, Las Vegas and Florida are directly attributable to air-conditioning. Even architecture has been impacted. Many of modern glass based buildings (such as the Gherkin and the Shard in London) benefiting heavily from air-con systems that essentially prevent the structures from turning into giant greenhouses! Finally, air-con has also had a huge impact on the medical world. An effective air-con system can help to keep the air clean and filtered, as well as preventing disease from entering quarantined rooms. Air conditioned hospitals have helped to defeat malaria, lower the rate of infant mortality and fuel substantial advances in the field of surgery!